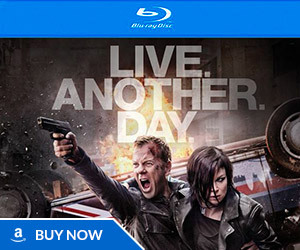 Sky asked the 24: Live Another Day cast and director Jon Cassar to describe their favorite 24 moment on the red carpet of the London premiere. William Devane is a dirty old man. I think you’re the dirty one for assuming he meant anything bad by that. Not everyone is perverted as you are. For me its the Jack and Kim on the phone scene in Day 2 before Jack is about to die with the nuclear bomb in the plane. Jack and Kim on the phone was probably the most heart-felt moment of ’24’. And then that scene is immediately followed up by George Mason’s passionate speech to forgive himself for Terri’s death, repair his relationship with his daughter, and let George take down the plane instead of him. Great stuff. 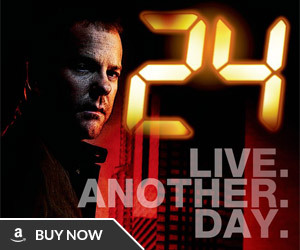 It is 24’s best episode. For me, it’s when Tony (almost) died in Season 5. “I couldn’t do it…..she’s gone Jack” and then Jack cries. Has to be the Chapelle execution- was certain Jack would find a successful way of avoiding the task. Brutal. Emily Berrington has never watched the show, you can just tell. No, I agree with Emily. She’s right. I’ve got 2 memorable moments… At the end of episode 23 in season 1 where “Yelena” is talking to Andre Drazen on the phone. You only aee her eyes and lips talking and CTU in the background. Zooms out after the phone call ends and Nina is the mole!! Second is the last episode of season 5 when Martha Logan is arguing with Charles about the events of the day. He slaps her around, she loses her cool, telling at him and he threatens to lock her in an asylum and pump her so full of drugs she won’t even remember her name.. Martha calls him a hypocrite when he’s searching her for a listening device. Unbeknownst to him, Jack Bauer has already planted a bug on the President. Best moments ever!! Season 3: Jack kills Chapelle, an innocent man, in cold blood…never seen that too ! CANNOT choose! 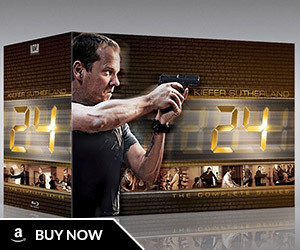 24 is the best!